Toronto Pride Parade To Finish With Marchers Dressed In Black To Commemorate Victims Of Gay Serial Killer - Joe.My.God. 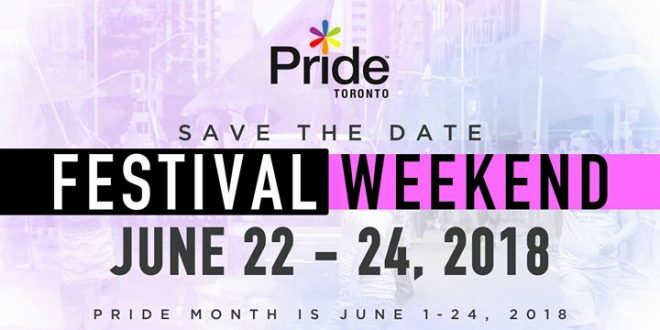 This year’s Pride celebrations are going to pay tribute to some of the LGBT community’s harsh realities, including the eight people police believe are the victims of alleged serial killer Bruce McArthur. One of the most visible signs of mourning will be the sea of black that is expected to close the Pride Parade, which has always been known for its rainbow of colours. The executive director of Pride Toronto, Olivia Nuamah, says barriers will open at the end of the parade and the community will be invited to march in silence, wearing black. “It’s one of the ways we want to commemorate the death of eight men in our community,” said Nuamah. Pride Month begins June 1. The Pride Parade will be held June 24. The colour black will also be worn by all of Pride’s volunteers, as a way of signifying what the community has gone through in the past year.